Sony Xperia Z1 "Mini" leaked as "Xperia Z1 f"
Looks like we are getting more shots of what has so far been called the Xperia Z1 Mini. 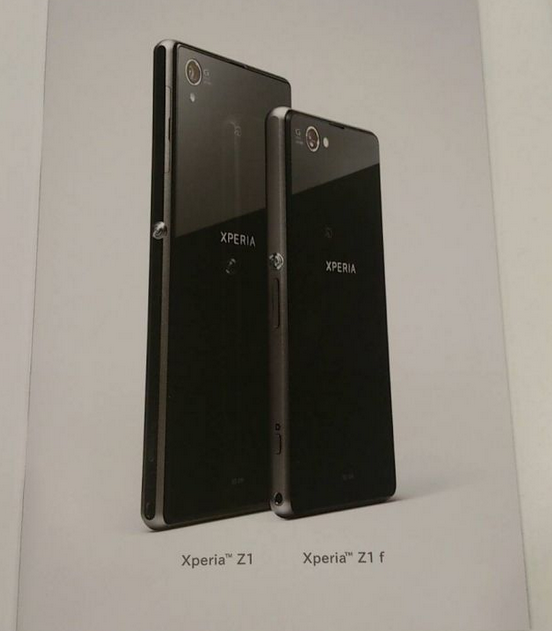 According to leaked documents obtained by Xperia BLog, the Z1 Mini is supposedly coming to market as the Xperia Z1 f.
The Xperia Z1 f is rumored to be packing some serious punch according to these leaked documents and match up what has been rumored in the past; a Qualcomm Snapdragon 800 Processor clocked at 2.2GHz, 2GB of RAM, a 4.3-inch 720p display, 8GB of internal storage, a 20.7 Megapixel f/2.0 1/2.3" Exmor R Camera. No clues on Canadian availability, but don't color us surprised if it does end up coming to Canada in one way or another.